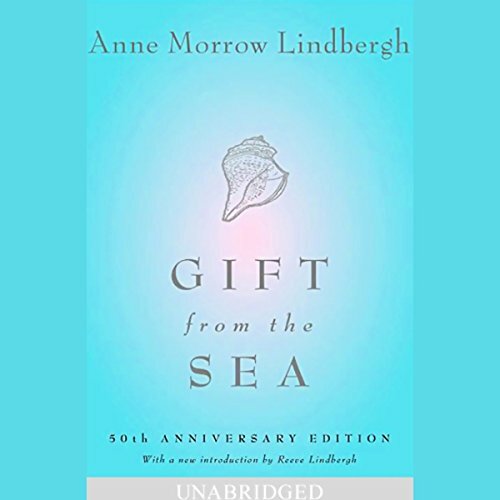 In this inimitable, beloved classic - graceful, lucid, and lyrical - Anne Morrow Lindbergh shares her meditations on youth and age; love and marriage; peace, solitude, and contentment as she set them down during a brief vacation by the sea. A mother of five, an acclaimed writer and a pioneering aviator, Lindbergh casts an unsentimental eye on the trappings of modernity that threaten to overwhelm us and helps readers find a space for contemplation and creativity within their own lives. A groundbreaking, best-selling work when it was originally published in 1955, Gift from the Sea continues to be discovered by new generations of readers. With a new introduction by Lindbergh's daughter Reeve, this 50th-anniversary edition will give those who are revisiting the book and those who are coming upon it for the first time fresh insight into the life of this remarkable woman.